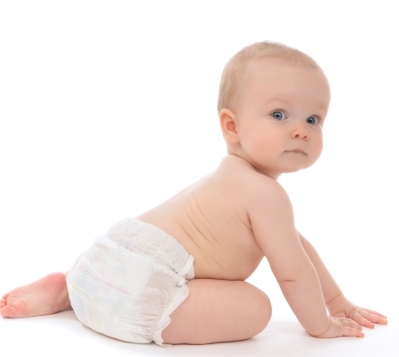 Disposing of nappies can be costly and troublesome. With strict regulations in place, your Nursery, Day-Care or Pre-School must be responsible and hygienic when dealing with nappy waste. Direct365 can help you follow the law without the worrying costs. Our economical waste management services give you the freedom to focus on your business. We work with over 650 Nurseries nationwide, so you can trust that we’ll handle your dirty nappies and give you a range of options so that your contract fits your needs. Choose from indoor or outdoor bins, get the right disposal sacks and don’t worry about collection times – we’ll be flexible for you. We know how important background checks are, so we’ll only allow DBS checked personnel to work on your premises. Let us save you time and money and get in touch for a free quote. Our service is designed to be flexible and hassle-free, saving you more time to look after your children. As part of our service, we’ll provide you with either an indoor or outdoor bin depending on the amount of dirty nappies your business produces. Typically a larger playgroup or nursery that produces more than 2 sacks of waste per month will be better suited with our secure and hygienic outdoor wheelie bins. All of the bins we provide include strong and convenient waste sacks for easily disposing of used nappies. Simply fill up your bins with the sacks and leave the rest to us. Our disposal carriers are fully registered and dispose of all waste in accordance with UK laws and guidelines, so you can rest assured that your nursery is kept legally compliant. What’s more, all of our technicians are security checked and will ensure that your waste is removed discreetly and professionally with every collection. Nurseries produce all sorts of waste, but not all of the waste produced by nurseries can just be thrown in the general waste bin and forgotten about. Some nursery waste is recyclable whilst unsanitary items like used nappies and wipes must be disposed of in accordance with UK legislation. Under the Health Technical Memorandum published by the Department of Health, the unhygienic waste produced by nurseries, like used nappies and wipes, is classified as offensive/hygiene waste. This means that nurseries have a duty of care to ensure that offensive/hygiene waste is segregated from normal waste and only stored within safe and secure containers. If offensive/hygiene waste is not disposed of responsibly it could pose a serious health risk to the infants and staff at your nursery, and even lead to substantial fines. Call today to enquire about our expert nursery waste disposal services and ensure that your nursery complies with UK waste laws. We're here to support nurseries in every way that we can, with our affordable and professional waste management services, and with our expertise and years of experience.